Even the most passionate and dedicated language-learners tend to groan when the time comes to work on Italian verb conjugation. It’s a dreaded part of learning the language that conjures images of frustrating conjugation tables and long nights spent attempting to memorise endless lists of words. Conjugating Italian verbs is not glamorous. And when you’re starting out it can take a ton of concentration. But if you’re feeling intimidated, well… don’t be! With a bit of practice, you’ll realise that Italian verb conjugation is actually much less difficult than it seems at first. In fact, once you begin to understand the patterns in each tense, it’s actually pretty easy. What Is Verb Conjugation, Anyway? In a nutshell, verb conjugation is the process of changing a verb in some way to indicate different meanings such as the person or number of people performing an action. In Italian, this is done by changing the ending of the verb. In practice, this means that verbs like ‘cook’ or ‘talk’ will have different endings depending on the who is performing the action. Believe it or not, as an English speaker, you’ve been conjugating verbs your whole life; you just didn’t realise what you were doing! Verb conjugations are relatively limited in English, and so we tend not to take notice of them. However, in Italian, they’re pretty obvious and it’s impossible to overlook them. 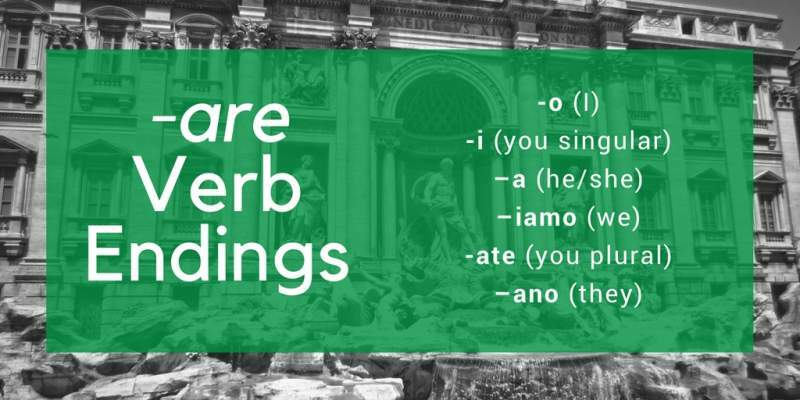 In Italian, just as in English, verbs are an important part of everyday speaking that comes naturally to native speakers. When a verb is conjugated incorrectly, though, it is jarring. There are several different verb tenses (and even moods) that can change the way a verb is formed in Italian. 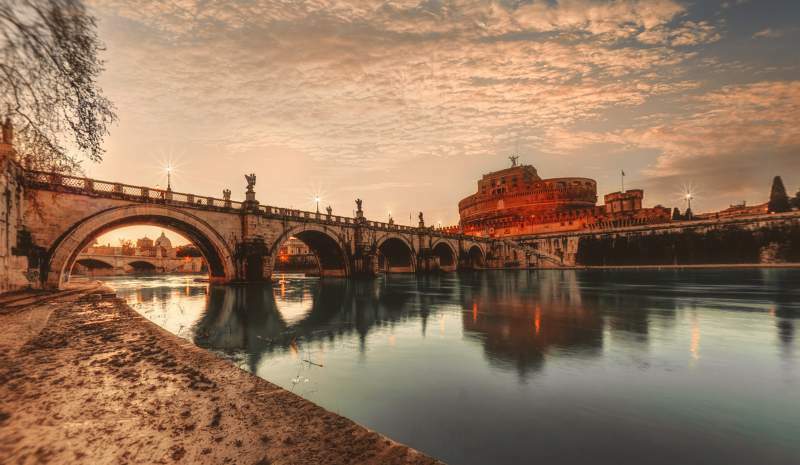 In this post, you’ll learn the basic conjugations to get you started in Italian, as well as the best ways to practice conjugations. You can apply these ideas not only to the tenses addressed in this post, but also to more advanced tenses you will encounter as you continue to learn the language. To begin, let’s use the verb ‘to be’ in the present tense as an example of how we conjugate verbs every day. This is a verb you probably use a lot in English, and will need a lot in Italian, too. Congratulations, you’ve just conjugated your first Italian verb! As you can see, the verb has different conjugations depending on who is doing the action. 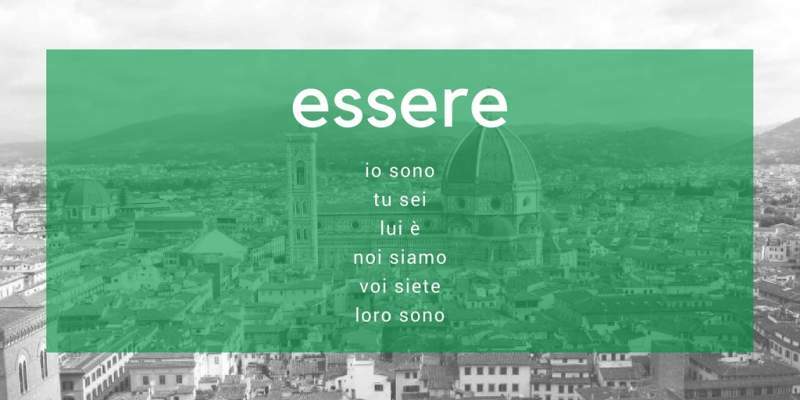 You’ll be happy to learn that essere is actually one of the hardest verbs to conjugate in Italian because it’s an irregular conjugation. Sono, sei, é, siamo and siete all look very different from one another. 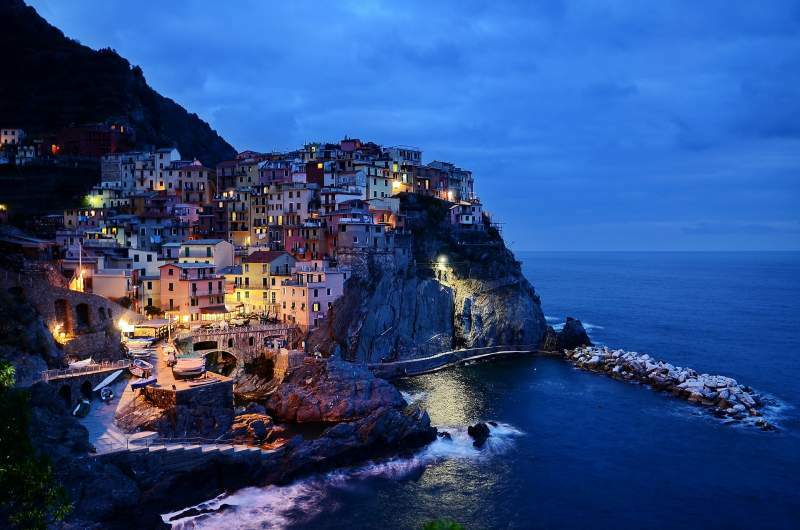 Luckily, most Italian verbs use regular conjugations, which means they follow a pattern that is the same every time. 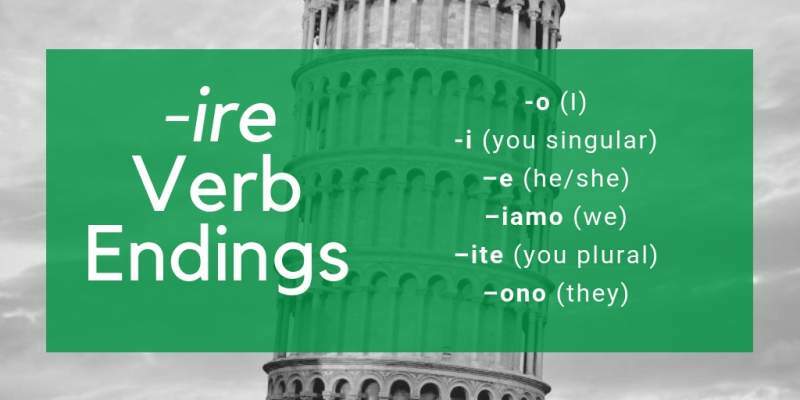 Once you memorise that pattern, you’re set to correctly conjugate nearly any Italian verb you encounter in the present tense with ease. When you conjugate a regular verb, you take the first part of the infinitive version of the verb and then add on the ending that correlates to the subject, the tense, and the ending of the infinitive version. Depending on the type of verb you’re conjugating (-ere, -are or -ire) the endings will be different. Let’s take a look at present tense verb conjugations for each of the three types of regular verbs used in Italian. You’ll notice that these endings are not exactly the same as the endings for –are verbs, but they are extremely similar. The differences are subtle and there’s an obvious pattern. Pro Tip: Take notice every time you see a particular conjugation and try to recognise it. 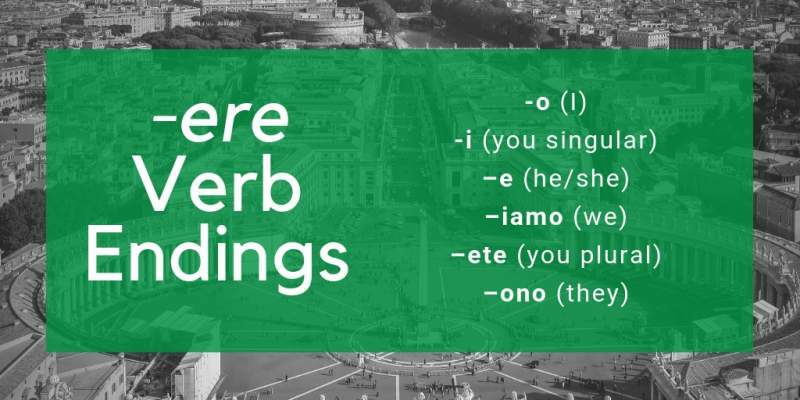 Verb conjugations might not be easy to remember at first but the more you see these conjugations, the more they will start to stick in your mind. Again, this is not exactly the same set of endings you use for –are or –ere verbs but it is extremely similar. It will take some practice to get this locked into your memory. 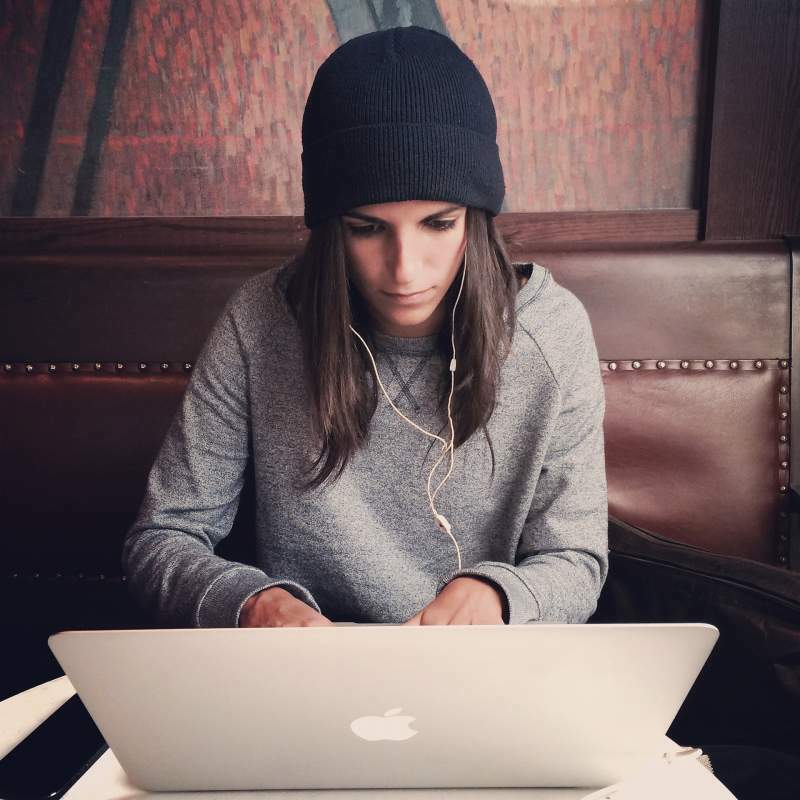 In my experience, the first verbs you learn are the hardest. With each verb you master, you become more comfortable and the conjugation patterns come to you more naturally. Once you master present tense verb conjugation, you’ll be ready to delve even deeper into Italian and learn how to speak in the past, future, subjunctive, and other forms. Now that you have a basic understanding of how Italian verb conjugation works, I have some handy tips and tricks to help your learning process go more smoothly and progress more quickly. These are some great ways to help the conjugations stick in your memory. The ideas I’m about to share will be helpful not only for the present tense, but also for the more advanced tenses you need to learn. Start applying these habits early in your language-learning and you'll lay the foundations for success in Italian. By the way, if you need an extra boost to help you learn and master Italian grammar, then check out my Italian Grammar hero course. 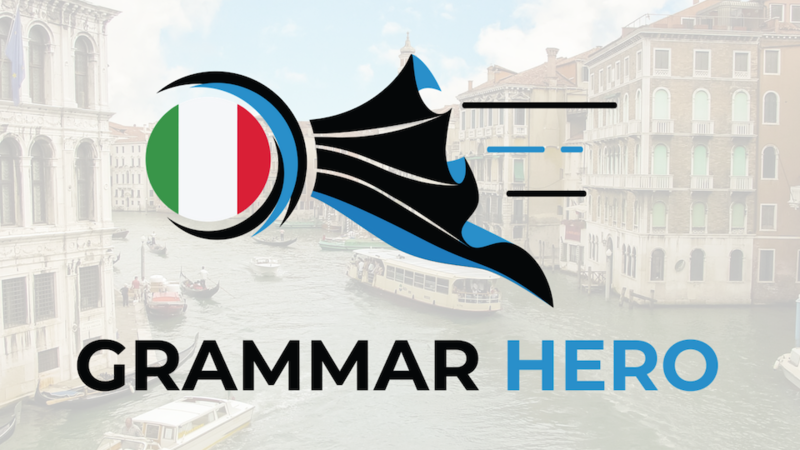 Grammar Hero is a new online programme I've created to help you master Italian grammar the natural way, through stories, so you can free yourself from the shackles of rules-based learning, speak with authenticity & communicate with freedom! 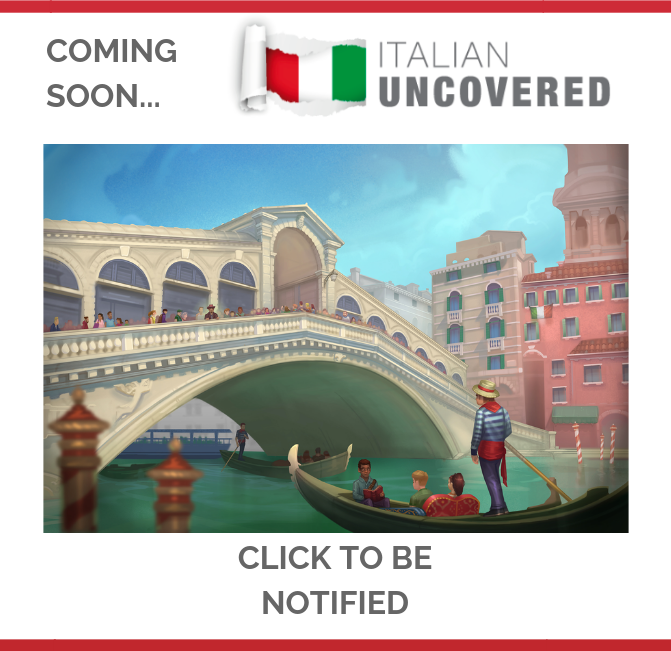 The programme is aimed at low intermediate and intermediate learners (A2-B1 on the CEFR), and works by providing you the “controlled immersion” you need to internalise the core grammar of Italian, so you can allow your personality to shine by speaking with accuracy, confidence, and natural flair. Grammar Hero is a programme that condenses potentially years of frustrating, traditional study into a “fast-track” experience that will transform your grammar in the next 90 days. For more information and to become a grammar hero yourself, click here. In day-to-day conversation, these are the forms that you will probably be using the most. If you want to jumpstart your ability to communicate in Italian, this is the best place to start. Of course, you’ll eventually need the other forms too, but it is best to prioritise the most commonly used forms first. If you are comfortable with the forms you need most, you’ll feel more comfortable practicing, and practicing is key! Flashcards are no good if you still freeze up when you are asked a question. Likewise, if you practice without studying, you run the risk of practicing incorrectly, which can lead to lots of confusion and bad habits. You need to find a good balance of study through exercise/repetition and real-world practice. Remember: You don’t have to be in Italy speaking to Italians to get real world practice. Real world practice can be as easy as having a chat in Italian with your friend who is also trying to learn the language or finding a language partner on a website like italki. There aren’t that many irregular verbs in Italian, but I recommend seeking them out and committing them to memory before you begin seriously studying regular conjugations. This way you won’t be tempted to conjugate irregular verbs the regular way. You’ll also notice that there are a handful of irregular verbs which are among the most commonly used in the entire Italian language. Mastering these early on is key to building a strong foundation in the language. This tip is helpful for all aspects of language-learning, but I’ve found it particularly useful with verb conjugations. I often found that when I was in the middle of a conversation, searching for the correct word, what came to mind wouldn’t be the charts I’d spent hours studying, but rather the lyric to some song I’d been listening to earlier in the day. All music with Italian lyrics is useful, but the songs that helped me the most were actually older songs. This is because they tended to be more story-based which meant they had more varied sentence formations and verb conjugations. Since Italian verb conjugations follow such consistent patterns, sometimes your mouth knows what to say before your brain does. Follow those impulses because usually they’re right. On the rare occasion that you realise afterwards you used the wrong conjugation, you’ll usually still have communicated your point and you can correct it next time. Overall, I think you’ll find that Italian verb conjugation is much easier than it seems at first. Yes, there are lots of different endings to learn but in reality the patterns are quite consistent and clear. Italian follows consistent rules that are easy to get the hang of. With daily practice and study, you’ll be well on your way. Just remember to keep exposing yourself to the language as much as possible and noticing the verbs forms you read and hear. Keep an eye and an ear out for the verb conjugation patterns and pretty soon you’ll be able to use them pretty well yourself! In boca al lupo! Good luck! What’s your experience of learning Italian? What motivates you to learn it? Let us know in the comments! sadly, with errors I can see – I wonder about the errors I can’t see due to not knowing Italian – yet. So will I be learning errors from you ?? ?